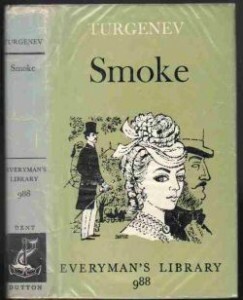 Turgenev received much criticism because of this novel. It’s easy to see why because he exposed the faults of all parts of Russian society while maintaining his distance by living in the resort town of Baden Baden in Germany – where most of this novel is set. No one is exempt – the European Russians, aristocracy, reactionary slavophiles and revolutionaries. Turgenev is very much a personal writer – but the political ferment of the 1840s, 50s and 60s meant he had to include these elements. Turgenev highlights the faults of all the groupings and ends up pleasing no one. At heart this is a novel about love and the personal. You could say that the victor is subjective truth – without giving too much away. I went to see him in the morning at 12 o’clock and found him at lunch. I tell you frankly: even before this I didn’t like the man personally. Most unpleasant of all, I owe him money from 1857 from Wiesbaden… Also I don’t like his aristocratic, pharisaic embrace when he advances to kiss you, but presents his cheek. Terrible, as though he were a General. 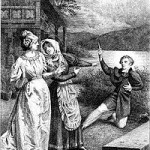 He came to see me in Baden… not to pay back the money he had borrowed from me, but to curse me because of Smoke which, according to his ideas, ought to be burned by the executioner. I listened to his philippic in silence — and what am I finding out now? 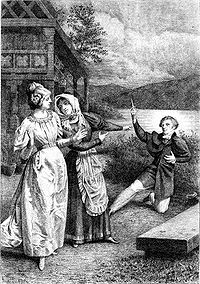 That I seem to have expressed every kind of offensive opinion… It would be out and out slander if Dostoevsky were not mad which I do not doubt in the slightest… But my God, what a petty dirty gossip. I think Smoke has stood the test of time. The politics add colour to the action of the novel but it is the story that is important and it is affecting. Excellent.